How long does a smartphone battery last? I t's 10 am and after receiving a long phone call (15 minutes) I'm just with 46% of battery left. At 10 am. Just three hours after disconnecting it from the charger, I'm with less than a full charge. On the left there is the battery stats from Battery Eta. 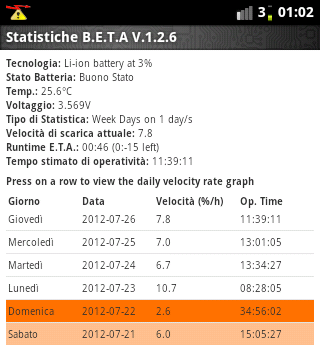 If you don't count Sunday ("Domenica" - I went to the beach and I left the phone charging the whole day), the average duration is disappointing... 12 hours. It means that if during lunch break I forget to charge my phone, after dinner the phone is dead. It's the battery? No, it always behaved like that. Tthis phone (T-Mobile myTouch 3G Slide), when is not in a good reception area (see the screenshot, I only have one bar), increases the transmission power to a ludicrous level, eating battery like hot cakes. In optimal conditions it lasts about 48 hours, but I would have to move in a new house, so it's not a good solution. I could disable the Gmail push mail, but at that point I could carry a cheap dumbphone with infinite battery. How long does the battery last to you? I'm curious to know if I'm just an isolated case or it's normal that nowadays a phone have to last just half day. Bill fired up his demo and it quickly filled the Lisa screen with randomly-sized ovals, faster than you thought was possible. But something was bothering Steve Jobs. "Well, circles and ovals are good, but how about drawing rectangles with rounded corners? Can we do that now, too?" "No, there's no way to do that. In fact it would be really hard to do, and I don't think we really need it". I think Bill was a little miffed that Steve wasn't raving over the fast ovals and still wanted more. Steve suddenly got more intense. "Rectangles with rounded corners are everywhere! Just look around this room!". And sure enough, there were lots of them, like the whiteboard and some of the desks and tables. Then he pointed out the window. "And look outside, there's even more, practically everywhere you look!". He even persuaded Bill to take a quick walk around the block with him, pointing out every rectangle with rounded corners that he could find. When Steve and Bill passed a no-parking sign with rounded corners, it did the trick. "OK, I give up", Bill pleaded. "I'll see if it's as hard as I thought." He went back home to work on it. Bill returned to Texaco Towers the following afternoon, with a big smile on his face. His demo was now drawing rectangles with beautifully rounded corners blisteringly fast, almost at the speed of plain rectangles. When he added the code to LisaGraf, he named the new primitive "RoundRects". Over the next few months, roundrects worked their way into various parts of the user interface, and soon became indispensable. At that time the computers were limited, typical user interfaces were simple and without frills, yet they decided to make it more enticing by using rounded rectangles. Take a look around you, a lot of design elements use rounded rectangles. Not in Windows 8 . Shading? Gone. Gradient filling? Gone. The border it's just a 1 pixel line, I guess it would be almost invisible on a retina display. Do you like it? I don't. The author of XKCD, a "scientific" webcomic has created a new blog, "What if..." where he answers weird questions from readers. The first question is "What would happen if you tried to hit a baseball pitched at 90% the speed of light?" 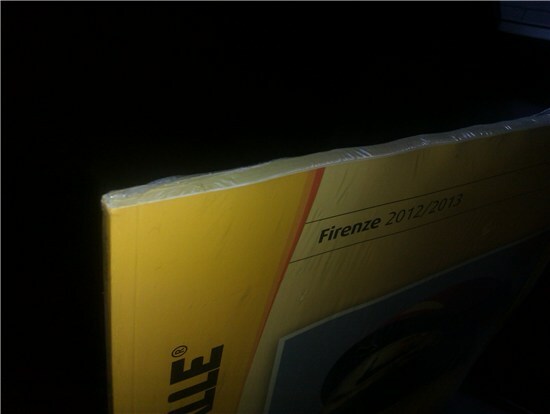 Some time ago, I got the 2012 issue of the Italian Yellow Pages to my home. It's just an handful of pages! It's completely useless, maybe there are just 3-4 firms for each category! If you think that every firm paid 500-1000 euro to be included, it's not an advertising investment anymore. This is wasted money! WFT??? It's just a PDF conversion of the printed edition or something like that! It's senseless to do something like that! Why not just list my search in an intuitive way, instead of presenting minuscule text without a decent search! Why the record labels don't understand that the world is changed? Reading an article on an Italian newspaper, it really become clear how the record labels are thinking that we are still in the '70s. I'm talking about Payphone, from Maroon 5. In the USA it has been released on 16th April, making almost 500k downloads in the first week. Instead in UK they decided to release it on 17th June, as if nowadays music goes back to the old world on a caravel. A cover, released on 17th April, entered on the sales top10 before the official song was available for purchase! The reasons to the waiting are a mystery for me. They did it to protect sales of the full album? 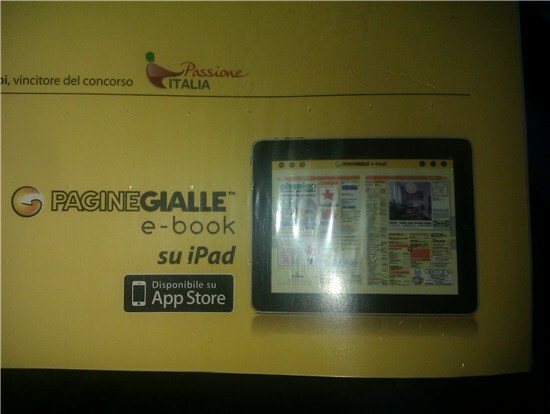 Marketing? The moral is: if people wants to PAY for a song, why deny it?? ?